The focus of meditation is on both healing and relaxation. To go beyond the mind and experience our essential nature – which is described as peace, happiness, and bliss. In the mayhem and the endless rush of the modern world, meditation is becoming more and more popular to unwind and lift our spirits. 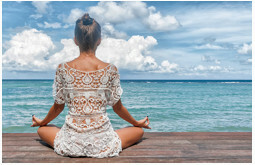 It’s no surprise that many have come to appreciate the positive benefits that guided meditation has to offer. Guided meditation provides an effortless and accessible way for you to realise the optimum state of calm – giving you a clear focus that lifts you from head to toe. Meditation is often a very personal experience as it engages with memories and emotions. 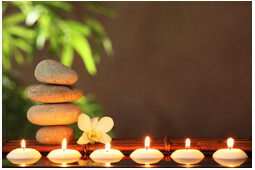 As such, many clients prefer to opt for a personalised recording to help them meditate most effectively. I honour the traditional techniques of meditation by gently guiding you to a relaxed state of meditation from a short recording. Imagine feeling your anxieties and tensions relax as I literally walk you through the process step by step. During a guided meditation you are in such a deep state of relaxation that the imagery you are guided to visualise becomes very vivid. Settling yourself in a guided meditation whilst I make positive suggestions is a life changing experience that results in real and immediate benefits. You’ll feel better; physically, emotionally, mentally and spiritually. Guided Meditation is a very powerful tool for your personal development and is requires little effort on your part. I love the sounds on this recording it makes me feel like I’m out in nature on a warm early summers day. I feel surrounded by birds and it puts a smile on my face. I also like to play this when on holiday. No matter where I am, I love to relax and listen to these wonderful bird sounds as they can enhance the overall experience of being away.